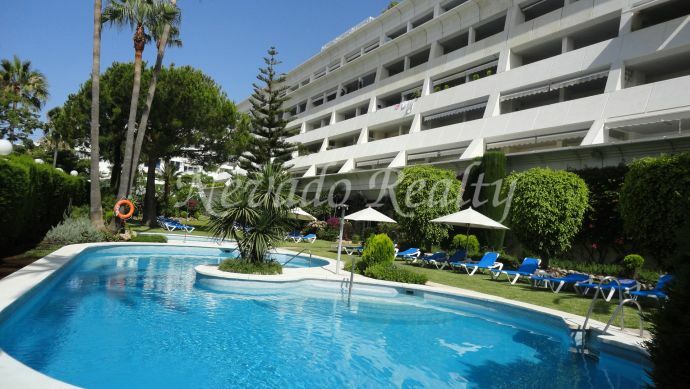 Luxury three bedroom apartment located on the second line of the beach in a cozy complex with communal pool and gardens, 24-hour concierge, with an exceptional location next to the sea and the promenade, very close to the Plaza de Mar Shopping Center, the Wellness Center, the Gran Hotel Don Pepe and surrounded by all services and transportation as well as Swans International School. 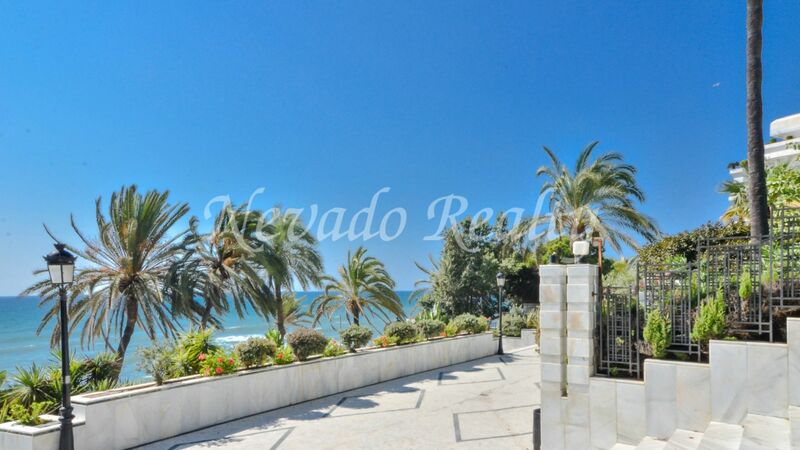 The property comprises an entrance, living room with double access to a large terrace facing south and spectacular sea views. 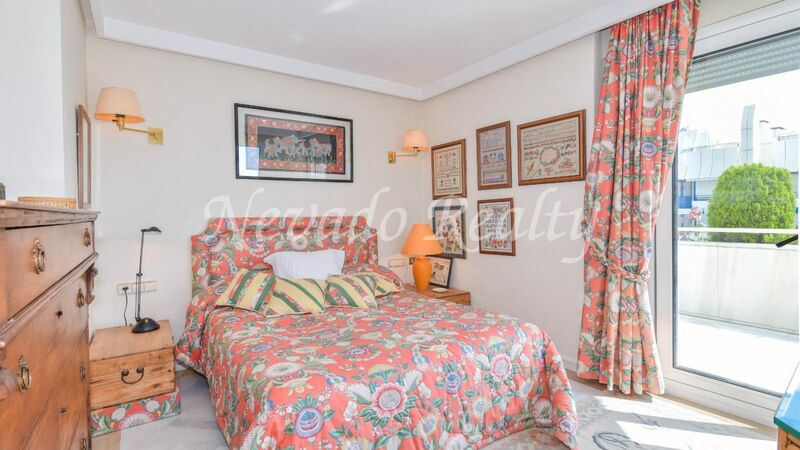 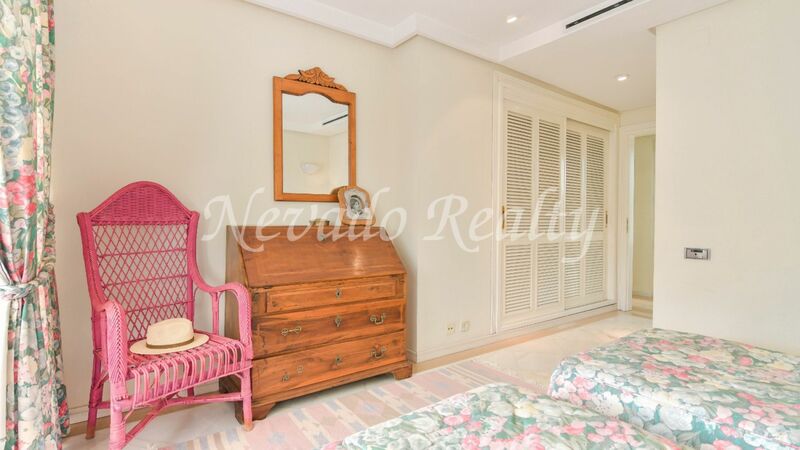 A master bedroom with access to the terrace and en-suite bathroom, two more bedrooms, one with bathroom en-suite and another bathroom, also a beautiful completely renovated kitchen. 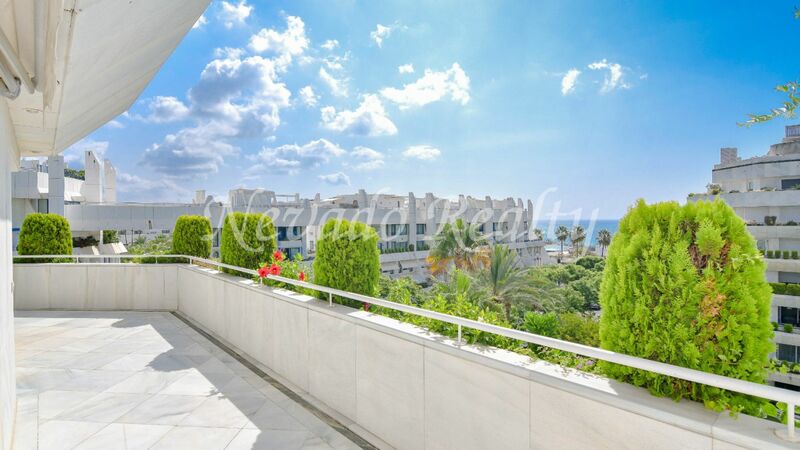 The large terrace surrounds the entire house so that light and clarity are highlights of this property and allows you to enjoy several environments with wonderful sea views. 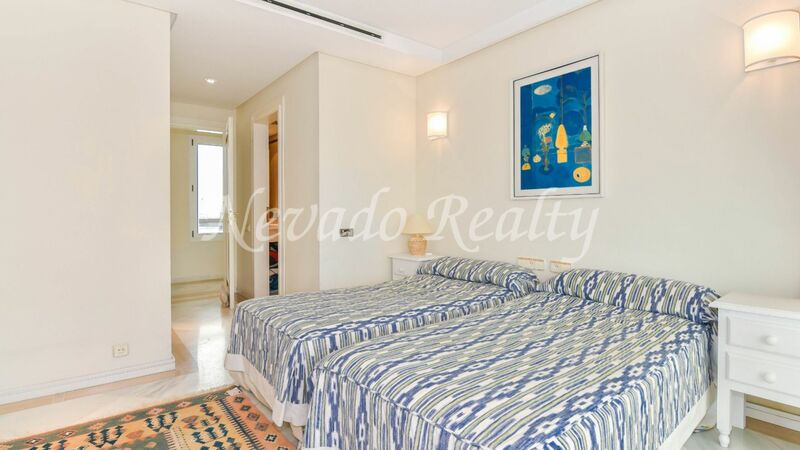 It includes two private parking spaces in the underground garage of the complex. 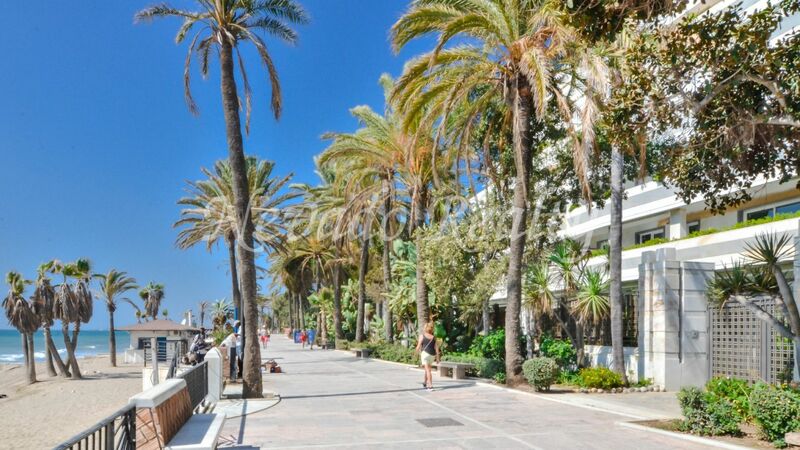 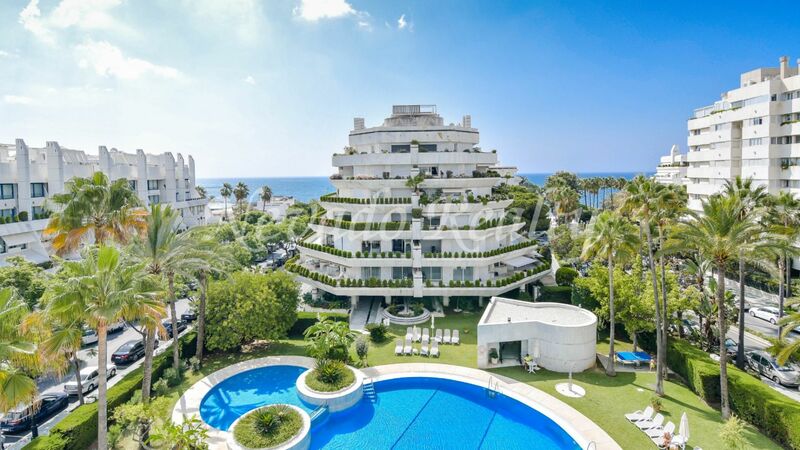 Cipreses del Mar is one of the most exclusive residential complexes located very close to the centre of Marbella and a 1-minute walk to the beach and the promenade. 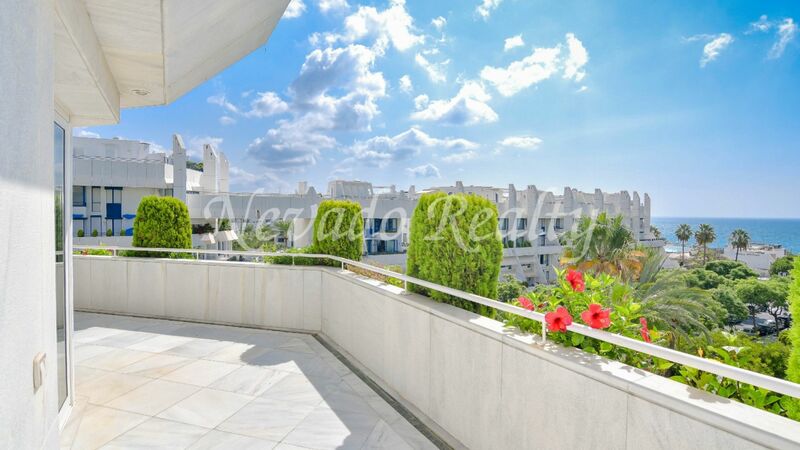 It has beautiful and luxurious common areas, gardens with swimming pool and 24-hour concierge service. 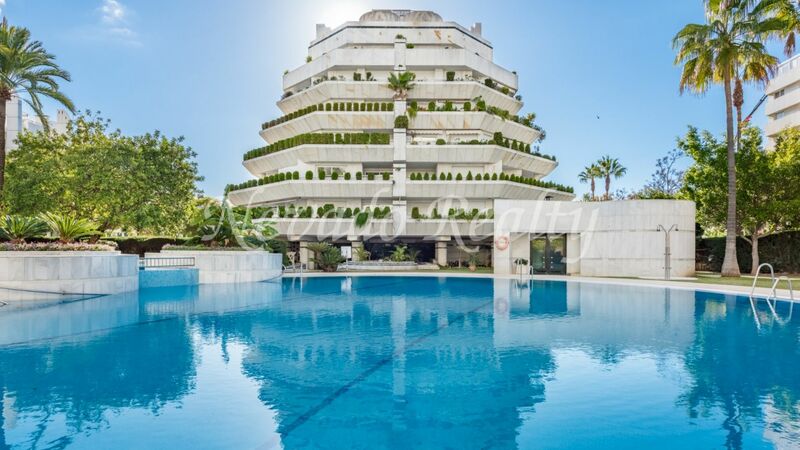 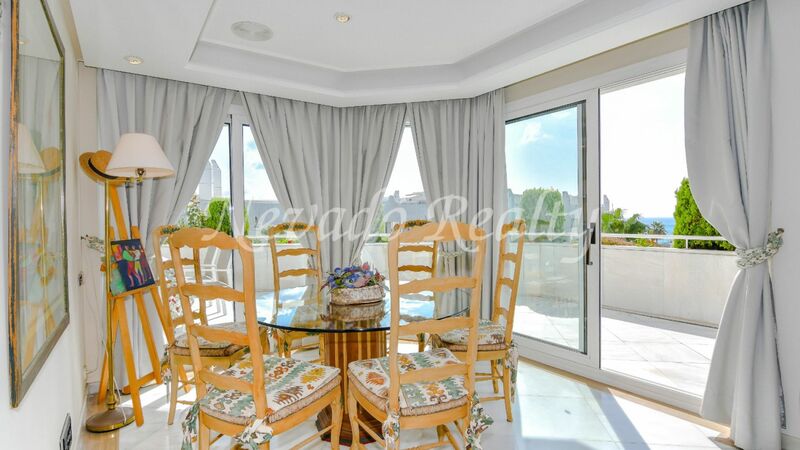 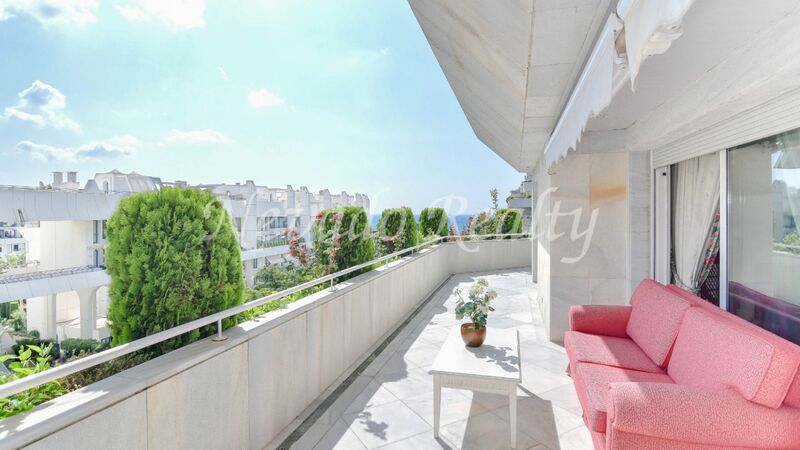 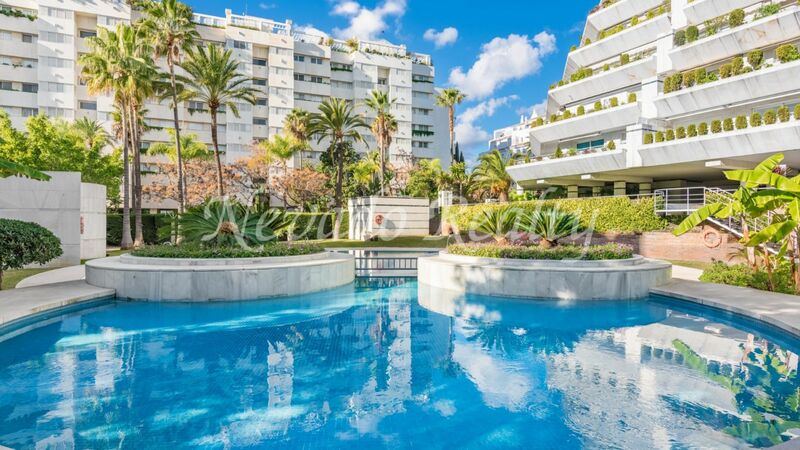 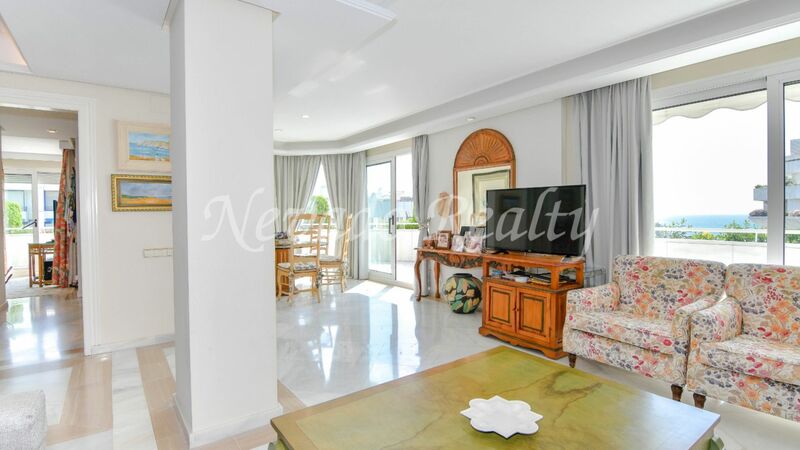 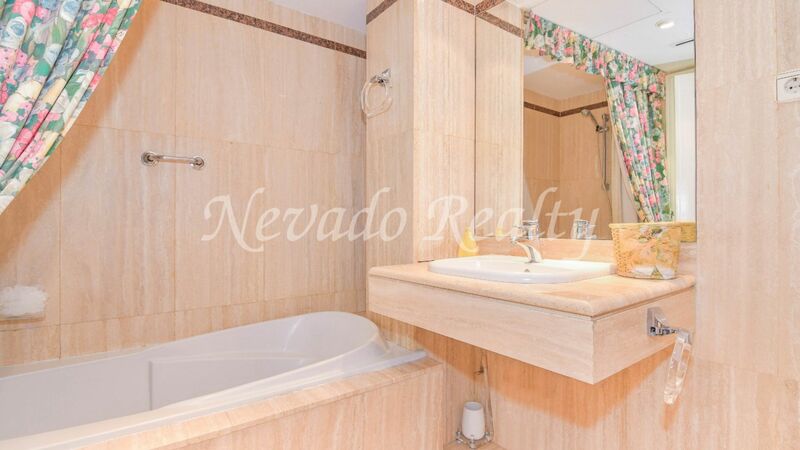 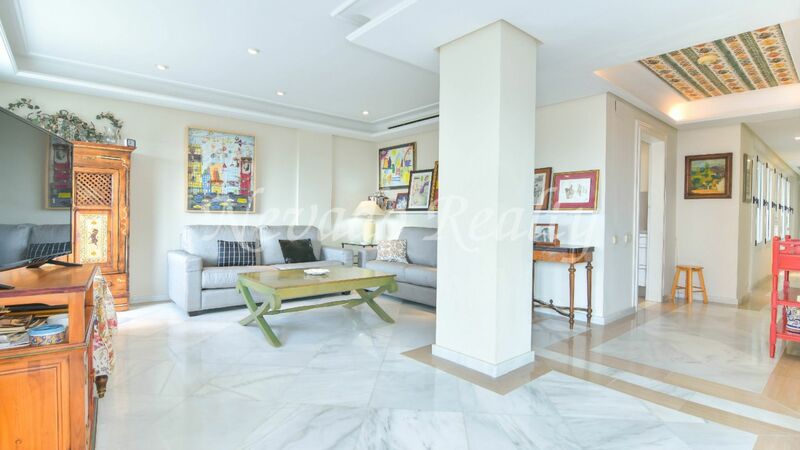 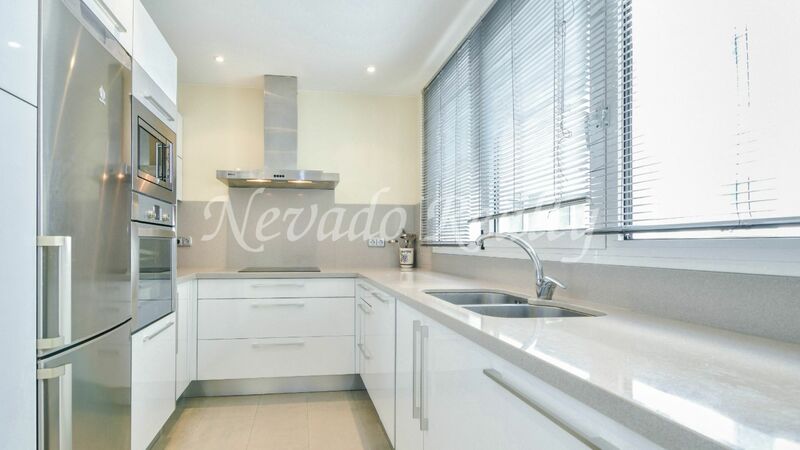 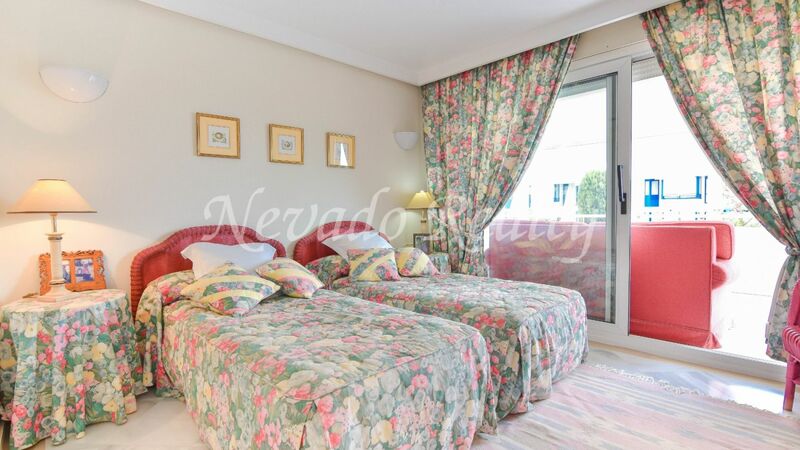 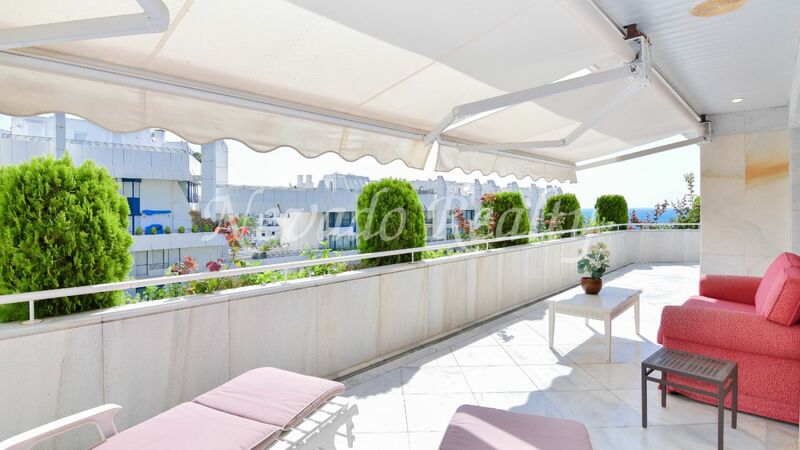 Please send me more information about ref 163-02624P, Apartment in Cipreses del Mar, Marbella Or similar properties.